Sénateur Emile Saint-Lôt left an indelible mark in history. Gifted with an extraordinary talent for molding and liberating entire countries, young Emile Saint-Lôt lit, carried and passed on the Torch for generations to come. Degreed as a lawyer, an agronomist and as a journalist; young Emile Saint-Lôt grew to be an advocate for education, a guardian of human rights and one of the most respected and accomplished leaders of our time. Sénateur Emile Saint-Lôt spent his early years in the midst of the U.S. military invasion and occupation of Haiti, from 1915 to 1937. This experience impacted him profoundly and fueled his future accomplishments; rooted in the free, strong, proud and independent spirit that is Haiti. Emile Saint-Lôt served in numerous leadership roles as a human rights journalist/publisher, a university professor of law, the senate, and as chief justice of the civil court. On June 19, 1946, Emile Saint-Lôt was elected Senateur for the West . On November 22, 1946, Senateur Emile Saint-Lôt became a signatory for the Constitution of Haiti. Senateur Emile Saint-Lôt later also served as a signatory for the historic Universal Declaration of Human Rights in Paris with U.S. First Lady Eleanor Roosevelt, on December 10th, 1948. 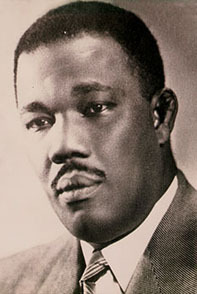 The birth of the United Nations in 1945 was pivotal for Haiti and for Sénateur Emile Saint-Lôt. 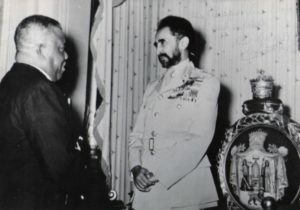 Haiti is a founding and permanent member of the United Nations and Sénateur Emile Saint-Lôt served as the first U.N. Ambassadeur for Haiti and as a member of the Security Council, responsible for voting on the independence of countries. Ambassadeur Emile Saint-Lôt later cast the deciding vote for the independence of Israel, Libya and Somalia; and wrote the constitution for many more emerging nations. In 1957 at the U.N. in New York, Ambassadeur Emile Saint-Lôt presented his famous speech for the independence of Libya. Upon completing his speech, after receiving numerous compliments on his presentation, he was approached by an ambassador who remarked “le temps est sombre” (the time/setting is dark). Ambassadeur Emile Saint-Lôt, known for his quick thinking and optimistic energy said with a warm smile, “mais, l’esprit brille” (but the spirit is bright). This statement captures the essence of Senateur and Ambassadeur Emile Saint-Lôt and speaks to his culture of leadership excellence. He was always seeing, being, giving and bringing; the brightness to the forefront. Senateur Emile Saint-Lôt is the original Flambeau. He sparked a movement and lit the Torch we carry forward.